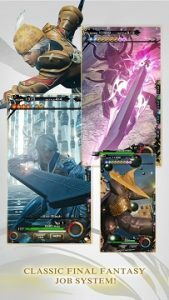 MOBIUS FINAL FANTASY MOD APK is an online RPG from SQUARE ENIX Co. LTD.Final fantasy series has been a milestone in RPG Section with its rich storylines and high end quest systems.when it comes to Online Mobile gaming Square Enix brings Mobius Final Fantasy To Android. 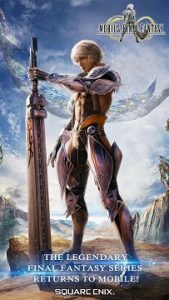 These are my first impressions on Mobius final fantasy MOD APK. 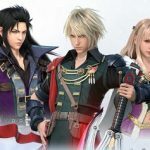 so Mobius final fantasy is final fantasies mobile adaption in a way I suppose you can compare it to kingdom hearts and chain key being that country’s key is the mobile adaption fully kingdom hearts universe now I’ve been able to play the game for a little while now thanks to square enix for the great game. 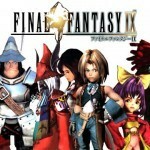 I have to say I really enjoyed my experience thus far,I’m not the biggest final fantasy fan in the world having only played a handful of the games usually what turns me off about final fantasy is its gameplay for me personally turn-based gameplay isn’t exactly my type because of my pinky preference. I was really interested to see how the combat for Mobius would work and I was pleased to find out that almost uses like an action orientated turn-based combat system. 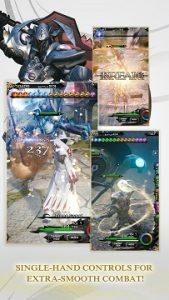 The gameplay of Mobius final Fantasy MOD APK works with simple taps on the screen to attack your target down the bottom displays your moves. Attack displays three meaning that i can attack three times as I attack enemies i generate element orbs which he used to activate cards on the right side of the screen so for instance if i generate enough fire orbs I’ll be able to activate a fire based card which will then activate its special ability. The enemies and what you face are also elemental basis as well meaning that certain elements are stronger against others. for example if i use a water-based special attack against the fire based enemy I’m going to do critical damage. if you have played kingdom hearts unchained you already noticed similarities. 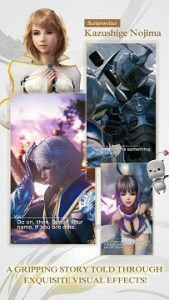 As you guys have probably noticed by its game screenshots that the visuals for Mobius Final Fantasy MOD APK actually look pretty impressive considering that this is a mobile phone game the game play and cutscenes all have pretty crisp visuals which complements the final fantasy style though. Complete more tasks and missions the games regression works for advancing from mission to Mission located on your world map as you can see down the bottom each mission explains the type of threat you’re up against.Final Fantasy MOD fans who enjoyed the stories of both final F7 and final fantasy 10 you’ll be happy to know that the story writer for both of those games has written the story for Mobius final fantasy MOD APK. you can actually spend a lot of time in this game collecting cards and power in them up. 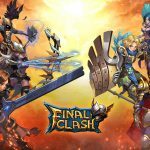 Install APK,Download data (400 MB) Directly from game and play. RG can you mod World Conqueror 4 please? RG, Act 2 can’t progress in due to auto-break. Can you update without the aut-break and make it high damage or easy break? Pls update as there is a new version. I’ve asked this several times but is there a way to turn off the auto break feature because there are several events now that I can’t get passed due to the opponent not being able to recycle their health at certain points. Is there a way around this. I can’t save any of my game progress to google so I would lose everything if I were to uninstall. Any help would be appreciated. Thnx! New version is out. Pls update. Thanks! Also is there a way to turn off the auto-break since it is preventing me from progessing in certain chapters? I can’t get past Chapter 6 part 2 because the level requires me to break atleast 80 enemies and can’t because of the mod being instant break. How do I get past this level? Bro, Which version is this mod? Signed or unsigned? I cant sign in from my google account. 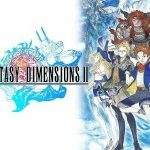 Hey is there a way to link to google play account in final fantasy mobius mod?? Give batman season 2 0.12 unlocked? I want to use my main save file on my google games acc, but i cant login on it. Any advice ? Do i need start with new acc on this modded apk ? My phone is rooted. So what can i do ? Hello RG, Can I login into google play with the mod apk? Thanks Rg you’re the best! 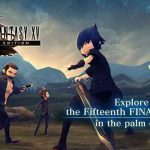 RG there’s a new FFXIII event please update. Thanks. Thank you so so much RG! Do I need to install first the original apk or can I direct install this mod? Rg can you mod little big city 2? Im very appreciate if you can mod it. Pls. update RG. Chapter 5 already came out. Thanks. Hey RG there’s a new novice hall section in new update. But I can’t complete it. Is there a way we can turn ON or OFF this instant break mod ? It auto win mod or what? thanks for the update RG! Unable to install the game. If I install the mod right away, I’m unable to use my account. So I tried to use the steps explained in the comment. I install the clean one, after I install it (not downloading the game data yet), I tried to install the mod, but I got “App not installed” notif. Can anyone help me? Thanks RG. You’re the best! RG lords of the fallen is up today in playstore! Can u put in ur website??? Thanksssss!!!! 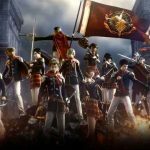 Can this mod login using google account? thanks RG. question.. what happens when there a new update? I’ll be back at square one? there’s a new update RG, now how do I use my save gave? Or everytime you release a new version I have to start all over again? please help. Thanks RG. Hope you release the next update soon. It’s good to see someone taking their time to mod games for the joy of other players appreciate your hard work RG and glad to see the website running strong after a year of being here. Thanks buddy just keep doing what your doing. nope, once SE finds out. you’re doomed. RG new update is available 1.2.100 please mod it and add anti ban thanks!